With Monday being the first official day of summer, it’s a fitting time to think of all of the wonderful things to do in Boston and beyond during the next three glorious months of long days, warm nights, and great weather! Some must-do options to consider if these aren’t part of your summer ritual, and are all fun tourist destinations, and great ways to get outside in the city during the week when weekends have no problem filling fast! Our friends at Entertainment Specialists oversee the entertainment of this fabulous outdoor music event that takes place Thursday nights from June through September. Nothing gives you a “Sons of Liberty” moment more than being on a Tall Ship in the Harbor, and nothing is more elegant or Boston than the Liberty Clipper. Affordable options for cruises (and you can even pre-buy a drink ticket) and surprisingly cost effective options to stay overnight for a truly one-of-a-kind experience on the Harbor! 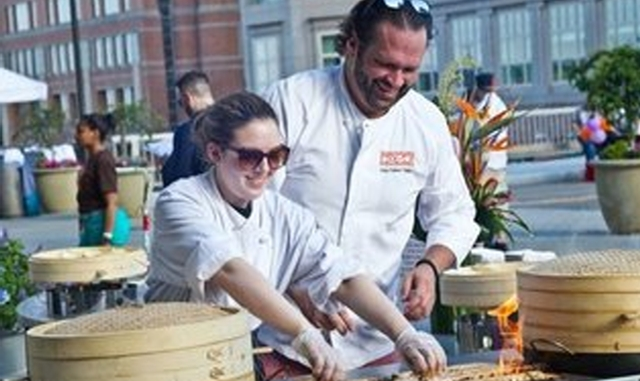 Last but not least, nothing is more summer than outdoor BBQs, and I would be remiss (it not shamelessly self-promoting) if I didn’t mention the ultimate Summer BBQ, Chefs In Shorts taking place here at Seaport on Friday, June 24. The event continues to be a signature, and what is better than seeing the best chefs in the city on the grill, up-close and in person? Even better? Proceeds benefit Future Chefs, ensuring that we continue to have great talent and tastes in the future!